Are you holding on to processes or practices that no longer serve anyone or can be handled more efficiently? While the current practice was a great solution years ago, the problem that led to a particular work-around no longer exists or maybe technology is helping you do it better. For example, there might be a report you’ve been producing for years. Is the person who required the report still in the same role? Is the issue it was meant to address still an issue? Does anyone remember what the report was even meant to handle? Is the information being gathered by some other person or department? As your responsibilities change, evaluate what you do and how you do it. Assess the relevance of what you produce against current business priorities. 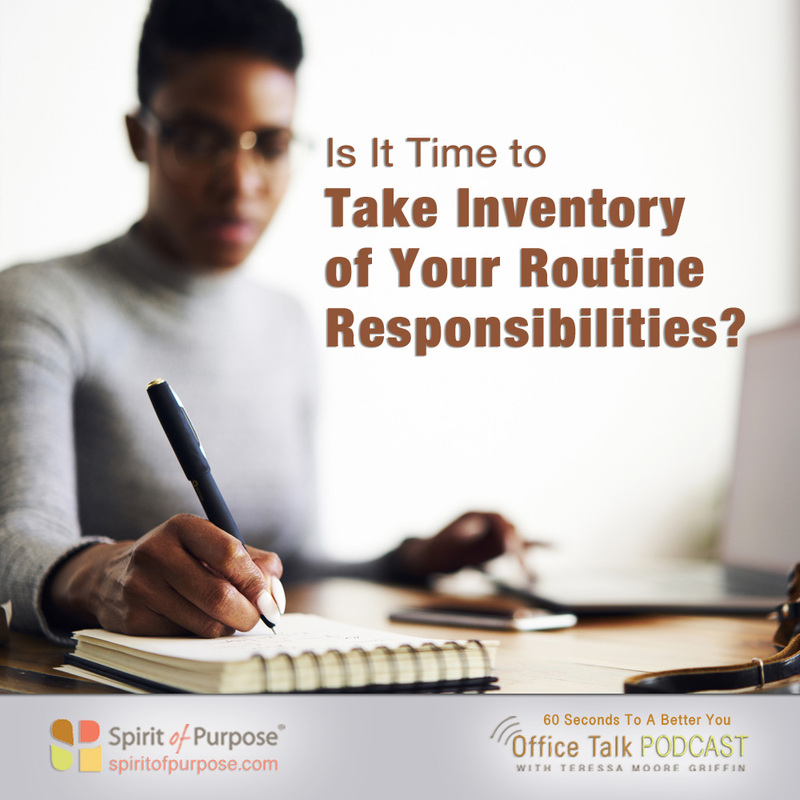 Taking an occasional inventory of your activities might reveal a duplication of efforts, that those weekly reports are falling into a black hole – no one reads them, or technology has led to obsolesce.